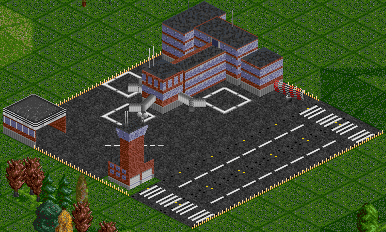 Welcome to the New Transport Tycoon Terminal! 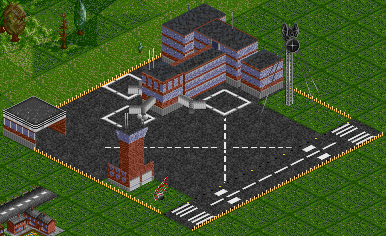 The Transport Tycoon Terminal is dedicated to providing graphics for Josef Drexler's awesome TTD patch for Chris Sawyer's Transport Tycoon Deluxe. Feel free to look around and download. Feel free to contact me or leave any comments in the Guestbook. It's been a good while, but if anyone is reading this, then there probably won't be further updates to this site. As you may have noticed, there hasn't been any real activity on anything here since Feb 07, which was a month into my first job. It's been more than two years since the last update. I have been working on making the site work better behind the scenes. For example, the sidebar and footer now use templates included in every page. The news system was broke, so this is kind of a test. The screens work, anyway. I am returneth from the dank damp crap-soaked wetlands known as real life. I still ain't got nowt to release, but I'll show some things I've been working on, or have worked on since the UK Roadset went out the door. First up are some Generic company colour trams, meant for a game such as OpenTTD which got the feature earlier in the year. Beforehand I'd just been trying to provoke other artists into doing one, but nobody would, so I decided to do one. However, once I'd actually made some progress somebody else did it, so these won't be released. Last but not least are some unused hangars. This place is still alive (although whenever you see one of these posts it was ususally made years ago, was the last thing posted, and you're seeing it via archive.org). I haven't got much stuff in progress, mainly due to a massive hard drive explosion, taking all my WIP works with me. Serves me right for not screwing it in. UK Roadset Version 1.1 released! It includes support for the New South Wales (Ausset) and Japanset landscapes, has drive on right support for both, and also supports most bridge sets out there. Head over to the Downloads Section to download it! Since it's release there's been a whole slew of UK Roadset updates and upgrades. The newest version (1.0G as I speak) includes fully working drive on right support, so you can use it even if you don't want to be based in the UK! Soon, 1.1 will be released. This'll have support for Ausland (NSW) and Japanset landscape support. Raichase has kindly been showcasing the test version for us, and it sure does look nice. I've just finished up the Ausland sprites, but here's an earlier test screen from Lakie if you want a feel for what it'll look like. The support for both of these landscape sets, even though Australia and Japan both drive on the left, will also include drive on right support, and support for Pikka's brick viaduct, Purno's bridges, and Rob's bridge. Head over to the download section or head on over to WhiteHand's blog to obtain it. I've released the Generic Buffers, after a few minutes of drawing, hours of coding from peter1138, and a day of testing. Head on over to the downloads section to get them for yourself! Well, a bit late for Christmas, but not yet for a Happy New Year, at least. Got a few nice things coming up as a late present, one is stations, the other a new Tram Depot. Lakie and me have finally released the UK Roadset. It is now fully ready, and 0.1 is up for download. Either download it, or discuss it in the forums. So, head on over to the downloads section and download it now! I've drawn more waypoints and updated some of the current ones. 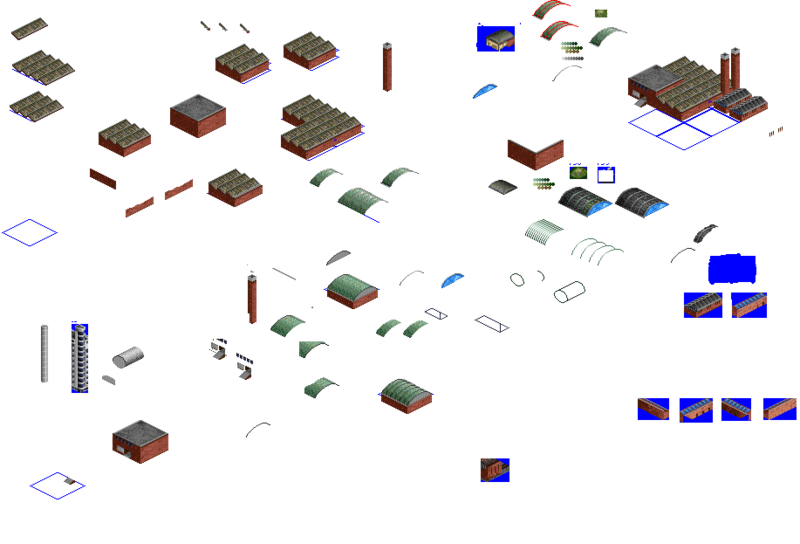 Peter1138 then coded them and made an updated GRF file containing all this goodness. To get the new version, visit the downloads section right away! Also, I have now added a new comments system to the jig. Click on "Comments", beneath the newspost title, and leave a comment in the new window. I have also also archived the old news. Use the numbers or Next and previous buttons below to browse the archives. It can be found over in downloads. Linkage! 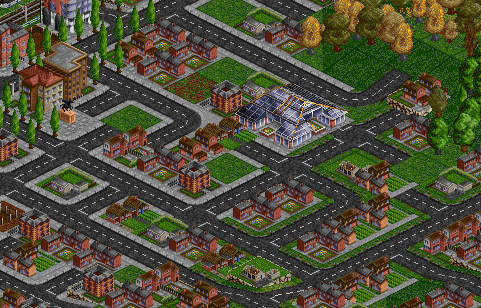 The Transport Tycoon links collector is a collector of links about Transport Tycoon. You can vote on websites, and add your own too! Chris Sawyer has officially released a new train for his newest game, Chris Sawyer's Locomotion, it is the Series 0 Shinkansen, otherwise known as the Bullet Train, and hails from Japan. According to Chris, it, other trains and a Japanese building set were cut from the released game, but this, being the best one, has been released as an add-on. It is included with a scenario. Go and get iot from his official site, here. This place is still alive. That is shown by the rising number of unique visitors every month! I have updates to the UK Waypoint set planned, and sometime soon a new glass station, if I can get the building done. (what should a futuristic building look like?) Here is a small preview of the station halls for now. These will be big ones, to go along with the exisitng small one track ones. Chris Sawyer on a new game? Thats what Redboss games, specialist in mobile games says. Named "Train Tycoon", the game will "focus on the fun and challenges of building railways". 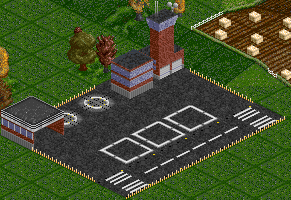 The game is heavily inspired by Chris' other games, such as Rollercoaster Tycoon, and of course Transport Tycoon. The game will be made for mobile phones, and use be available later this year. Oh, and more thingies soon, got something large coming up. Ive been trying to get the Savegames section integrated, but it seems to eat the side menu. 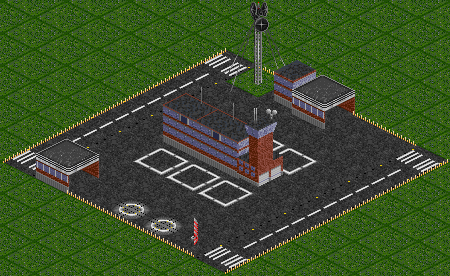 Also, there have been a few updates to the Transport Tycoon Section, including a brand new rail junction guide. Soon I hope to have an entirely new rail tutorial, covering the basics. I know its a bit late, but HAPPY NEW YEAR! Its also probably old news by now, but this place is also tt-terminal.co.uk. Now its official as I have certificates! At around 7PM GMT. It will be around 5 minutes, but could be longer. If the site is down, try again later. All material Copyright � Christopher Jones 2003-2009 or owned by their respective authors where mentioned. Thanks to Jonathon Pilmoor for the site name, and Lakie, Dalestan and petern for coding various things.